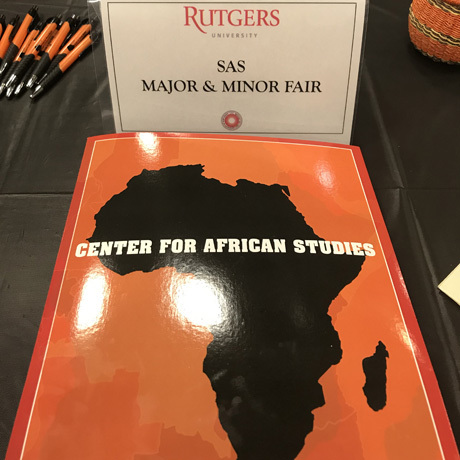 Rutgers University, home of the African Studies Association Secretariat, has a long history of commitment to the teaching of Africa through curricular and faculty development. CAS informs a broader public through a vigorous outreach program of community projects and educators' workshops for K-12 teachers and coordinates a large number of Africa-related courses in various units throughout the university system. 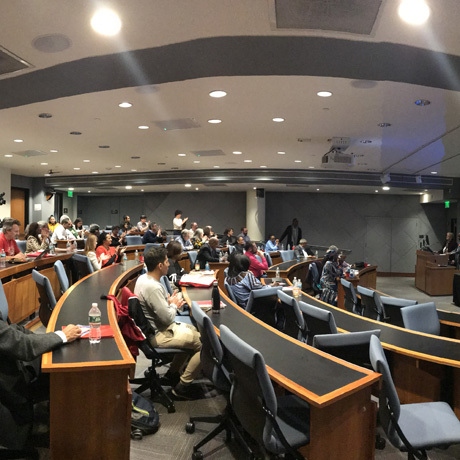 Building on its commitment to international education, Rutgers supports faculty research in Africa and encourages linkages with Africa-based scholars, institutions of higher learning, and non-governmental organizations. 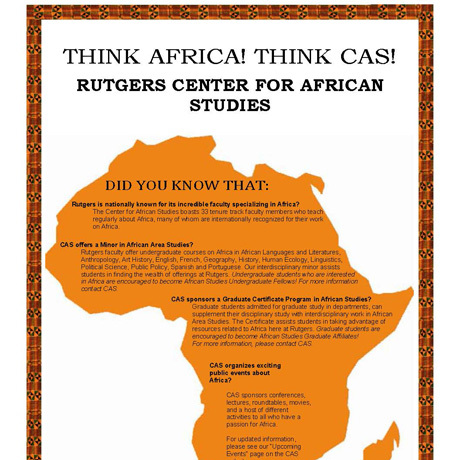 With a number of CAS faculty members specializing in literatures of Africa in Arabic, English, French, Hausa, Portuguese, Spanish, and Swahili, Rutgers is an extraordinary center for the study of literatures of Africa. 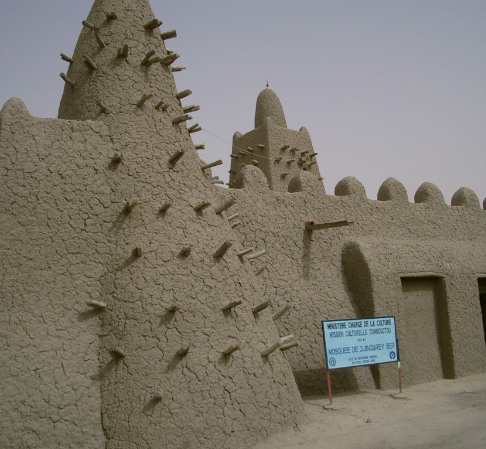 Rutgers also has unusual strength in African linguistics, as well as in African social and cultural history. 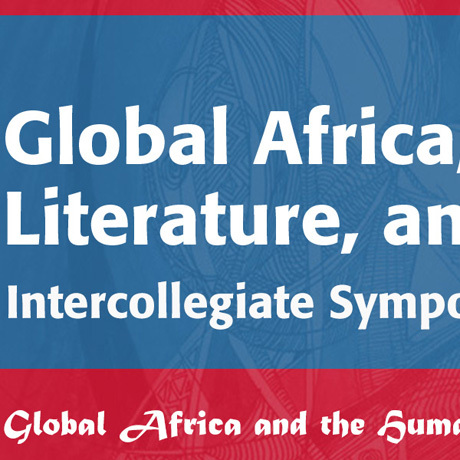 There are CAS faculty members who work directly on African history and numerous others whose work in comparative, global, imperial or Diaspora history contribute in direct ways to a deeper understanding of African history. Students of the contemporary African environment also benefit from interdisciplinary CAS member faculty in Geography, Human Ecology, and Anthropology.